Benson Simmonds is an award-winning actor. "Where to start in describing the most inspiring teacher and actor I've met to date? I met Benson Simmonds in the spring of 2005 for private coaching and a scene study workshop. I was floored by his acute sense of insight and instinct in regarding the Ivana Chubbuck technique that is so profoundly present in his style." 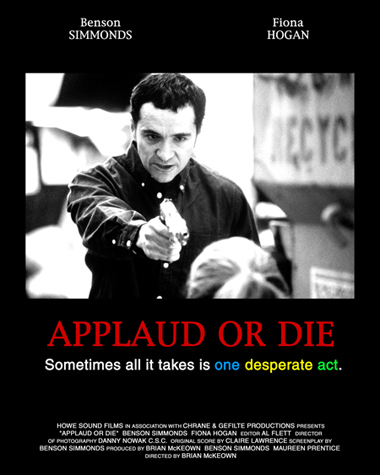 "Benson's award-winning performance in Applaud or Die"